Adorable Little Crochet Amigurumi Doll - Free Pattern + Photo Tutorial! 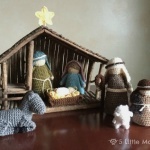 Home » Amigurumi • Patterns » Adorable Little Crochet Amigurumi Doll – Free Pattern + Photo Tutorial! Adorable Little Crochet Amigurumi Doll – Free Pattern + Photo Tutorial! This cute little doll will melt your heart! If you are a fan of amigurumi then this adorable doll is one to add to your collection with her long flowing hair and her cute little sweater, with buttons, and skirt. And what a wonderful gift she would make, too! This is the “Amy Girl Amigurumi” and she’s a free pattern and photo tutorial. 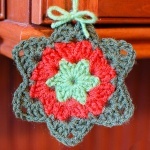 The designer is Jane, founder of the popular crochet site Jenny and Teddy. You’ll find all the details including many photos that will help you along as you begin the project from start to finish!